Gov. 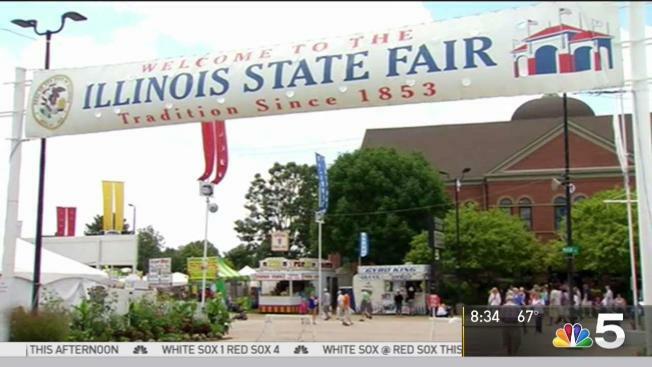 Bruce Rauner is planning to cut the ribbon to open the 2017 Illinois State Fair. The Republican governor officially opens the summertime extravaganza on Thursday afternoon at the fairgrounds main gate. The fair runs Thursday through Aug. 20. Daily admission is $10 for adults and $3 for seniors. Children 12 and under are admitted for free and there are several discount days which include half-priced admission for adults. Grandstand entertainment includes John Mellencamp, Foghat, Brad Paisley, Alabama and Five Finger Death Punch. There will be auto and harness racing and numerous stages featuring free entertainment. Rauner will be joined at the ribbon cutting by Agriculture Department Director Raymond Poe, Natural Resources Department Director Wayne Rosenthal, state fair manager Kevin Gordon and Illinois County Fair Queen Claudia VanOpdorp.